Reduces noise using novel feature-sensitive spatial filtering along with time-based optical flow methods! 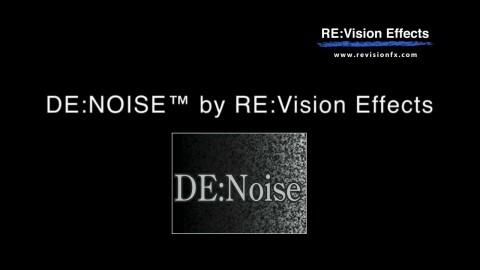 DE:Noise uses frame-to-frame motion tracking to reduce noise and other artifacts. See what DE:Noise can do for you! DE:Noise used in Blackmagic Design Resolve to remove film dust. Dust and other artifacts reduced with DE:Noise. 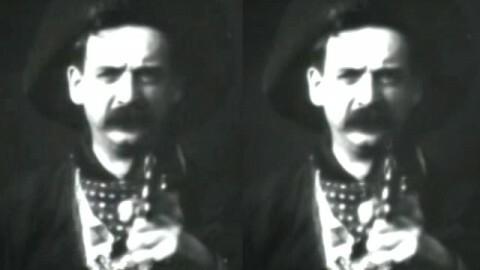 This sequence is from Edwin S. Porter’s “The Great Train Robbery” Creative Commons Source. DE:Noise handles spurious frame-to-frame defects ranging from fine digital/electronic noise to blotchy spots like dirt on film. Addresses problems of low-light shoots, excessive film grain, CG renders with ray-tracing sampling artifacts, film scan artifacts, snow, drop-outs and can even handle a flash frame here and there. Unlike many other products, DE:Noise uses smart spatial and temporal filtering to reduce noise while preserving details. 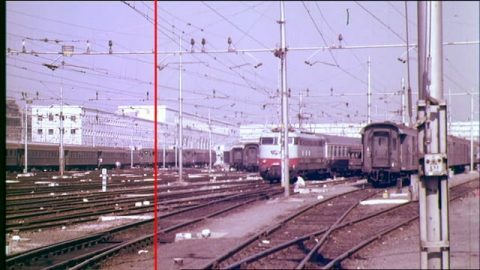 Smart spatial filtering controls that allow for the spatial smoothing of noise without smoothing over important features in the image sequence. 8 different temporal filtering methods that use optical flow motion estimation to correlate images over time in order to reduce noise and other artifacts. Post-processing to help punch up the result, or to undo the preprocessing contrast enhancement. Post sharpening option for when the denoising process makes the result softer than desired. Pre-processing contrast controls to help enhance the noise for easier elimination. Installed plug-in will work with DaVinci Resolve 11 (and up), Fusion Studio 5.2 (and up), HitFilm 3.0.0.0576 (and up), Movie Studio 64-bit only, v11 (and up), Natron 1 (and up), Nucoda 2014 (and up), Nuke 5.1 (and up), Scratch 5.1 (and up), Silhouette 6.1.3 (and up), and Vegas Pro 64-bit only, v11 (and up). The same OS and hardware requirements for the version of DaVinci Resolve that you are using. License works with After Effects, DaVinci Resolve, Final Cut Pro, Fusion Studio, HitFilm, Motion, Movie Studio, Natron, Nucoda, Nuke, Premiere Pro, Scratch, Silhouette, and Vegas Pro.